MTRWESTERN is Seattle’s top provider of charter bus rentals and shuttle bus service. 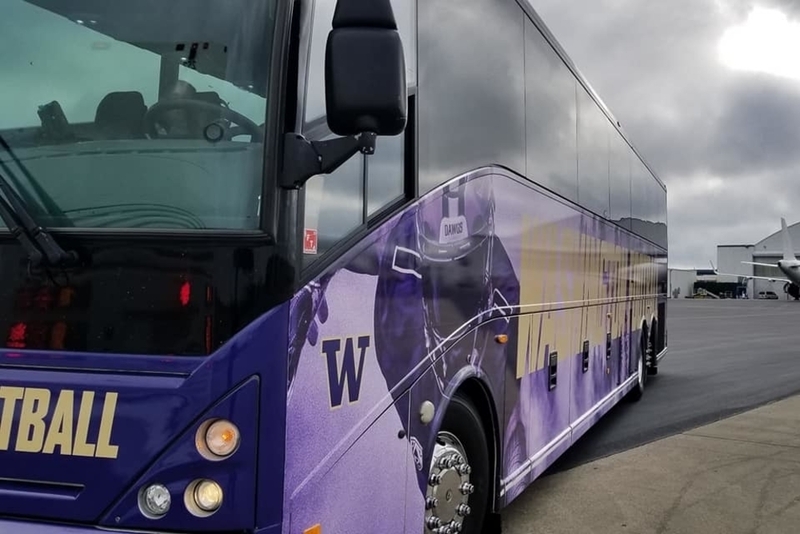 People in Seattle are constantly on the move, that’s why MTRWESTERN is the go-to choice of professional and college athletes, corporations, commuters, tourists, military personnel, and event goers to enjoy the journey in safety, style, peace and comfort. MTRWESTERN’s heritage is in Seattle hospitality; our leadership team includes the same partners who own and operate several of the city’s top hotels, plus the Seattle Space Needle and Chihuly Garden and Glass. All of Seattle’s major professional and collegiate teams — home teams and visiting — ride on MTRWESTERN buses. Business is booming in Seattle, so much so that it’s hard for the traffic infrastructure to keep up. Backups are common downtown; in the tech centers of South Lake Union, Bellevue and Redmond; and up and down I-5 from Everett to Tacoma and Olympia. Every MTRWESTERN commuter vehicle takes up to 50 cars off the road, even in “last mile” configuration, dramatically reducing congestion in some of Seattle’s most highly trafficked areas.